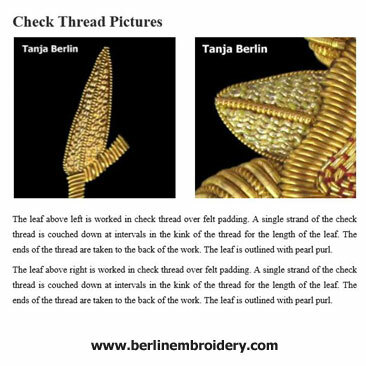 I have a PDF file that you can download for the Metal Thread Information Page which has 100 pages with pictures and information on metal threads that you will find on the webpage. 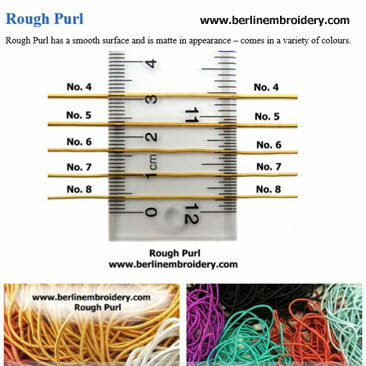 This PDF is nicely laid out so that you can print off the pages you want and view the enlarged pictures of the threads against the ruler. I will email you the PDF file once I have processed your payment. 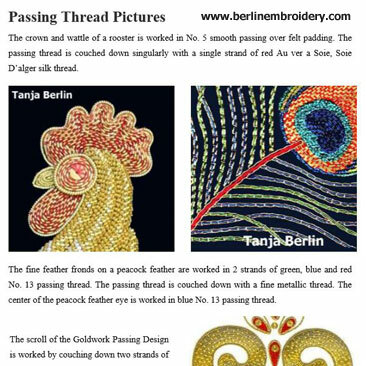 No part of the instructions can be used for commercial purposes or profited from or published without permission from Tanja Berlin. 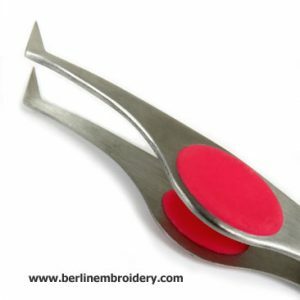 These luxurious tweezers have padded thumb and finger grips and a fine bent tip to get into the most awkward positions. 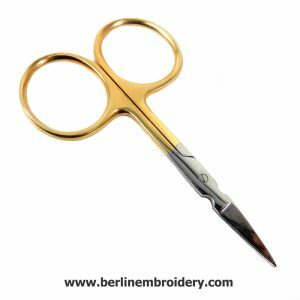 They are also an ideal tool for Goldwork embroidery to hold, position and to manipulate metal threads. 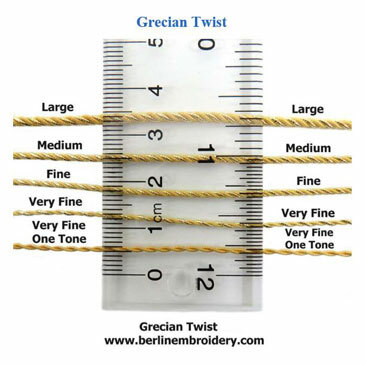 The size 10 crewel embroidery needle is used in my surface embroidery kits such as: Carrickmacross Lace, Fine White Work, Goldwork, Modern Jacobean, Needle Painting and Shadow Work. 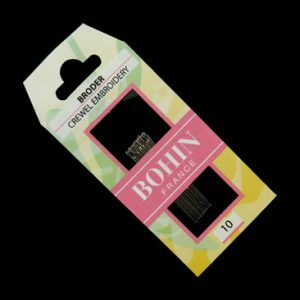 My kits come with two needles but you may want to purchase more of the needles as size 10 embroidery/crewel needles, in case you mislay your needle as the size 10 crewel embroidery needles can be hard to find in craft stores as they are smaller than regular sewing needles. 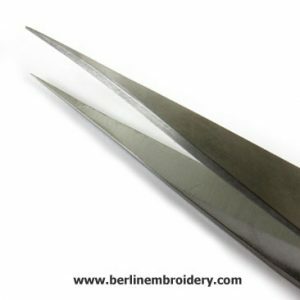 I also carry the size 12 crewel embroidery needles. 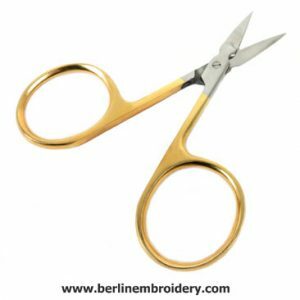 I often use these for sewing down purl threads in goldwork or if I am working a very fine needle painting design. 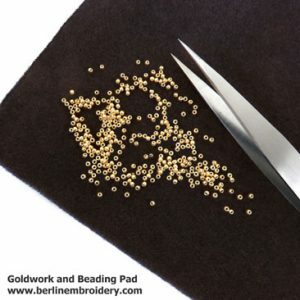 A goldwork and beading pad is a brilliant piece of vellux/velvet like fabric which you can use to place goldwork threads and beads on so they will stay in one place rather than skidding across a table surface. 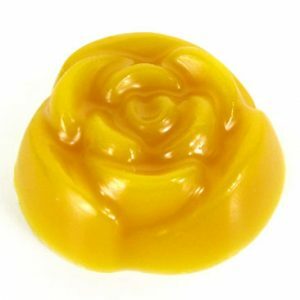 The 100% beeswax small rose is used to coat sewing thread when working metal thread/goldwork embroidery and is a perfect size to work two or three of my goldwork designs. 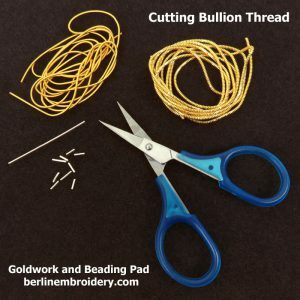 I carry the hard to find short beading needles which are excellent for goldwork embroidery when the size 10 embroidery/crewel needle will not fit through the center of purl or bullion threads. 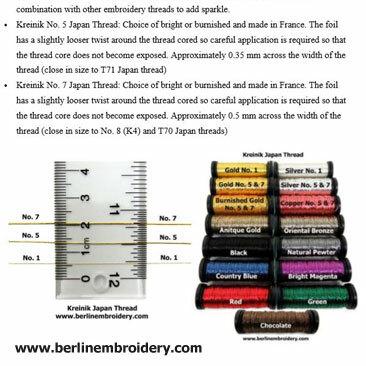 The needles are also good for very fine needle painting/thread painting. 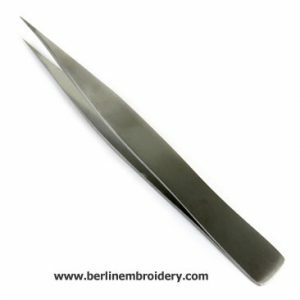 The needles are 1 1/4 inch ( 3 1/4 cm) long. 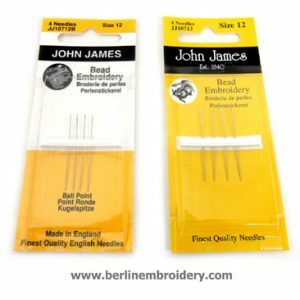 The beading needles have a long slender eye for easier threading and a choice of sharp point or tapestry (ball) point. I carry size 10 and size 12 (finest). 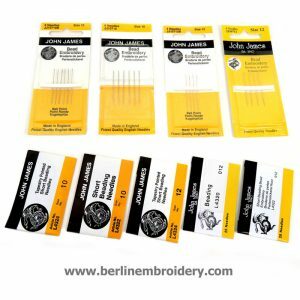 I also carry regular long beading needles for your beading needs which are 2 inches (5 cm) long. 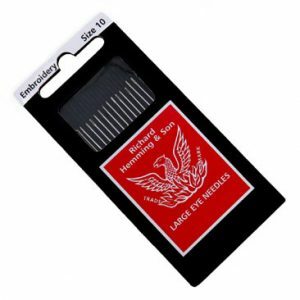 This PDF is nicely laid out so that you can print off the pages you want and view the enlarged pictures of the threads against the ruler. 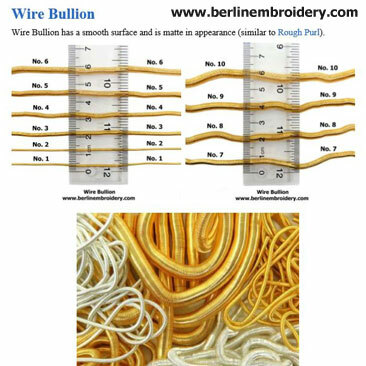 I am charging a small fee for the PDF file to cover all the hours that I spent setting up the metal thread information page and PDF File. 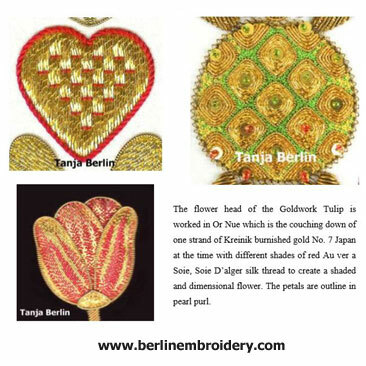 Please visit my Metal Threads Product Pages to purchase metal threads and the Goldwork Supplies Product Pages for the supplies needle for metal thread embroidery.